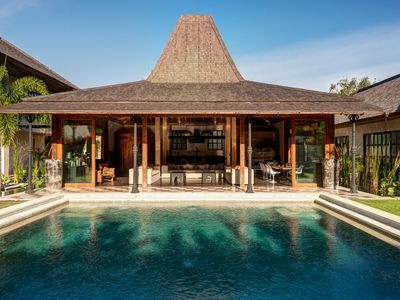 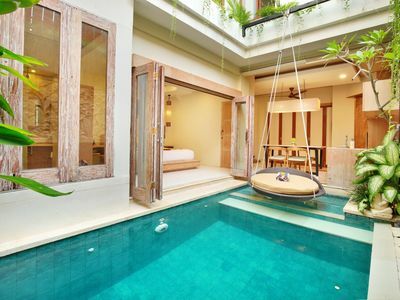 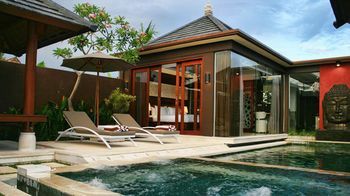 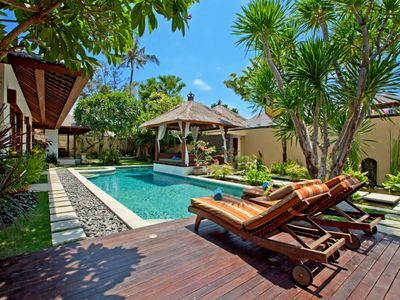 Our exquisite four bedroom, private pool Balinese villa is a holidaymakers paradise. 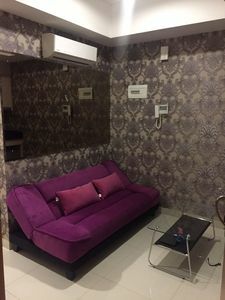 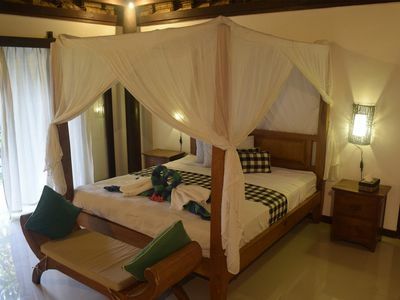 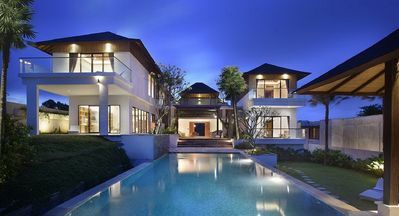 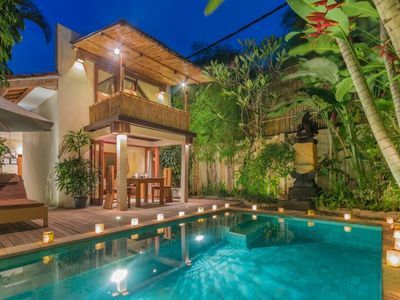 Nestled away in a secure private development, it is conveniently located in the heart of Sanur, the most established, family friendly resort in Bali. 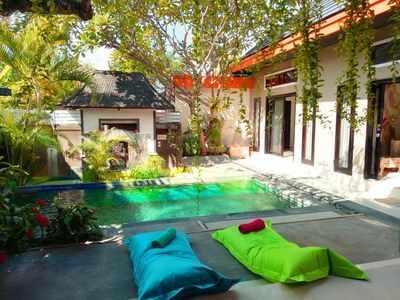 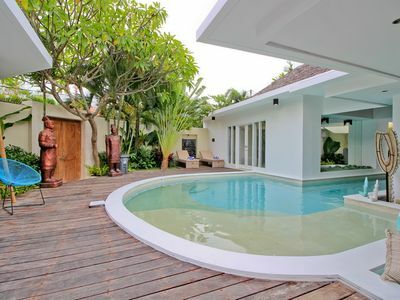 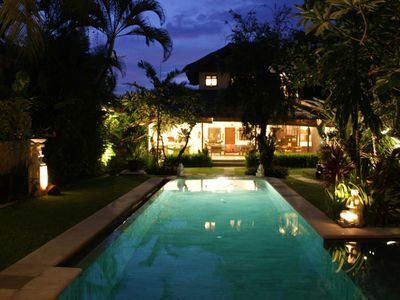 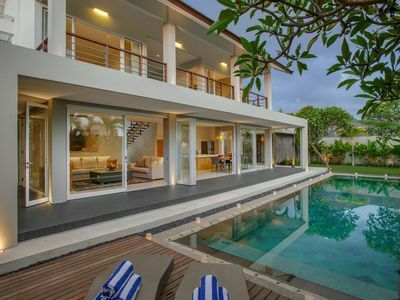 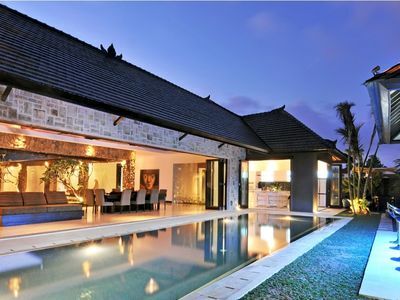 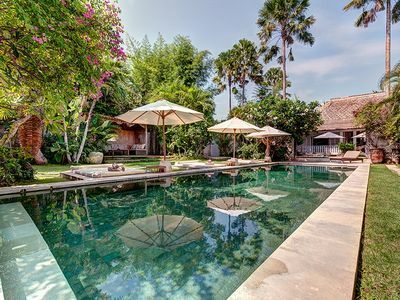 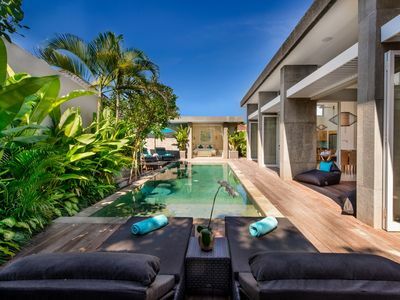 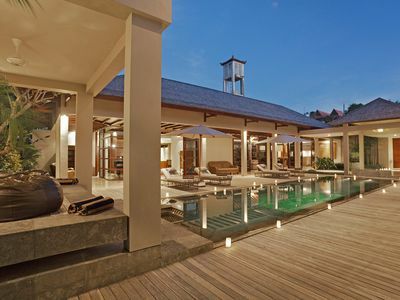 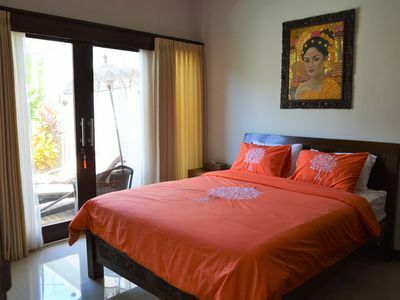 This villa has a private access to Sanur beach at the back of the villa compound. 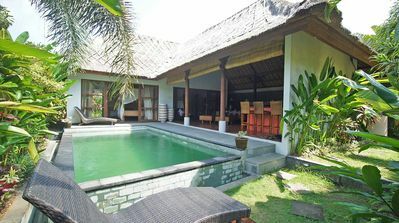 The beautiful white sand beach, wide variety of restaurants, myriad of activities and shops are just a few minutes walk away through a private entrance, yet our villa is fully secluded; our guests can enjoy the large L shaped pool, equipped with a Jacuzzi or relax in the lush topical garden with ponds and a traditional Bale in private tranquility.